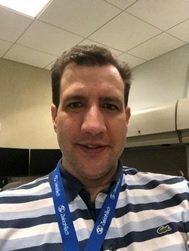 Erik Eucker joins Zekiah as Geospatial Analyst – Zekiah Technologies, Inc.
Zekiah Technologies is pleased to announce that Mr. Erik Eucker has joined its team of Geospatial Analysts. Mr. Eucker is currently working with Zekiah supporting a Department of Homeland Security (DHS) project. After finishing his undergraduate degree at the College of William and Mary, Mr. Eucker received a Master’s Degree in Geographic and Cartographic Sciences from George Mason University. In the past Mr. Eucker worked with multiple government contractors, as well as several not-for-profits, such as the National Parks Conservation Association and The Nature Conservancy.